Avatar is a film that only a few people might have heard of. It has gone under the radar for far too long. Everyone must know that Avatar is easily the greatest film of all time, if not greatest thing of all time. In all seriousness, James Cameron’s Avatar is just another mediocre blockbuster movie that is now the highest grossing film of all time. The story of Avatar deals with humans invading the planet Pandora for its resources but the native humanoid alien race, The Na’vi, are unhappy with the humans. The humans created a handful Na’vis that they can control with their minds and inhabit the body of with the help of machines. One human in his Na’vi avatar body goes rouge and gets involved with the native Na’vi culture. 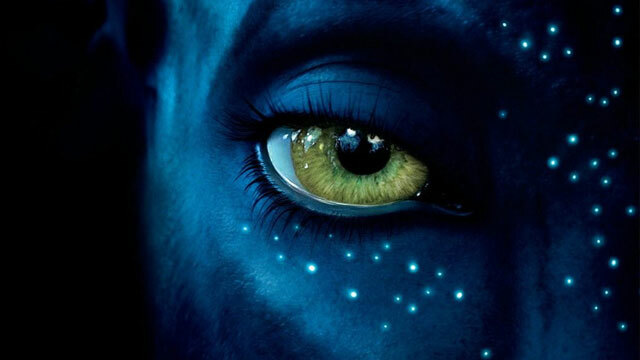 He struggles with being a human in a Na’vi body as the struggles between the humans and the native Na’vi worsen. The story conflict of Avatar is simple, Man VS Animal. You may try to find a more complex conflict of it being Man, with the motivation of Greed and with the help of Machines VS Animal, with the motivation of Faith and with the help of Nature. However, Avatar’s basic story helped it become so successful. It is so generic that the story could be a metaphor for many different real world conflicts from the past and present and from round the world. This is appealing and relatable to many people and cultures around the world. I did enjoy Avatar and had more fun during the viewing of it than many of the other 10 best picture nominees of 2009. But that is the problem with Avatar, it was just a movie experience that was made for you to have fun while watching it. Once the last frame of Avatar is shown, the experience is finished and you do not think about the movie itself again. You might think about the amazing visuals, but not about the story or the characters or about the film as a whole. All the other best picture nominees are long lasting deep films and have made me think about the story and characters weeks later. Many of them were depressing with characters struggling through real world situations. Since the others nominees were depressing, that is the only reason why I can say I had more fun viewing Avatar but it did not make me think or care about the film like the other depressing films did. The only thing Avatar has going for itself is the visual 3D roller coaster ride for your eyes. The visuals might be amazing, but that does not make a good movie. The music was just as bad as the visuals were good. The story and characters were undeveloped and there was too much Papyrus. Avatar is a movie made to be a movie. It will be nothing more than just a movie. It is an experience meant to be had in theaters with 3D glasses on, like I did with my friend Michelle Fischer. I would recommend anyone to experience Avatar this way, but I could not recommend Avatar as a simple home viewing. Because of that, Avatar fails at being something more and is just a simple short term experience. Since it came up on season 3 that Rita had another husband before Paul (given her mother’s letter and Dexter finding out on the internet) and it was a big secret of Rita’s, wasn’t this character going to be explored during season 4? If so then what happened to this part of the story? Do you think the writers just abandoned it all, chosing to just let it go as if it wasn’t anything? I was surprised to find out that so many people did not understand the deeper meaning in Avatar. As the credits rolled I was still mesmerized by the way this age old struggle was portrayed. It was disappointing to see that many in the movie audience seemed to be walking out as if they too felt the “experience” was over and they did not seem to be affected by the message at all. I thought that this movie could make a difference in how people viewed their world, but based on what I saw in the theater that isn’t going to happen anytime soon. I hoped that people would see the deeper meaning of what happens when two different groups come together with preconceived ideas. The harder they try to hold on to their old beliefs the harder it would be to actually understand the others point of view. This is something that we as humans have been working on forever. Perhaps the reason people were unable to see the message is that they seemed to be unable identify the Navi as anything other than fictional characters. The idea that this film can be used for so many different conflicts in the past is perhaps too vague for people to understand without having a discussion either before or after viewing. I think that if we were to use this film in classrooms to discuss past and current issues we would see this movie as the “To Kill a Mocking Bird” of our time. The beauty of this film is the ability to apply any “face” to the Navi and to show us that the struggles that we have fought and won in the past and the current struggles that we are facing all have the same core issues. It is terrible that the concept was lost on the masses. I can only hope that through conversations such as these that we are able to change people’s minds about the movie and use the viewing “experience” to our advantage.